Really bummed that I had to miss out on the festivities this evening. The Scorpions have proven to be one of the best live metal acts over the years and the addition of Tesla as opening act is a bonus. I was lucky enough to see the Scorps on their World Wide Live tour in 1984 supporting the Love at First Sting album. To this day it was one of the best shows I’ve seen. I’ll never forget the energy they pack into a show. 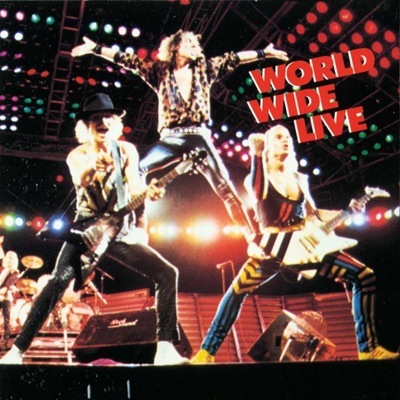 My favorite was the live version of Coast to Coast with the iconic image of Klaus Meine standing up on the guitarists’ legs while they were jamming. Of course Rudolph Schenker’s guitar slinging act throwing his Flying V way in the air, wonder if he has ever dropped one? He always seems to catch it. Let’s see the opening act back then was at the time a one hit wonder…Bon Jovi. Yeah I guess they did alright too. Looking at the setlist there seemed to be a good mix of their classic late 70s-80s period as well as some of the 90’s-millennium music they’ve put out since. Personally, I would like less of the newer stuff and more of the old. Not to mention they don’t play any of their pre-Matthias Jabs music…for us loooong time fans. Well…since I missed it I cant review the show…please feel free to leave your thoughts below if you made it…for all those of us who couldn’t. Share anything you like about the concert… Tesla, Scorpions, setlists, the venue, the crowd, the vibe…your call. GREAT SHOW IF THEY COME BACK ON THEY 2ND FINAL TOUR I’LL BE THERE! I like the fact that they had Tesla a known band with them…they had some good stuff on the first two albums especially the non-commercial stuff…Signs was their undoing. I was lucky enough to be front row in front of Rudolf Schenker. Tesla was terrible, what’s with the lead singer talking like he’s a 6 year-old girl?? Scorpions are nowhere near as wild on stage as they used to be (age catches up with everybody eventually), but they still put on an incredible show. You will be hard pressed to find a rock band that can reproduce their studio songs better than Scorp’s. My only complaint would be them choosing to play The Rhythm of Love and The Best is Yet to Come. Really guys? How about Dynamite and When the Smoke is Going Down instead? Any TRUE Scorpions fan would not rank Rhythm of Love in their top 100 songs. 6 yr old girl…I don’t even want to know. Tesla’s singer was always their weak link…cool guitar riff band though. Yeah we all loose our fast ball as we get older. I thought the same thing about Van Halen last week. Totally agree with you about the setlist anything post Love at First Sting is suspect for their repertoire. I would love to see them play some of the old Uli Roth songs like Speedys Coming & Robot Man etc…I know they would never play Lonesome Crow but I would be front row for that show!. Thanks for the review! There are some songs after Sting that I don’t mind hearing them play … Hit Between the Eyes (which they played Wednesday night) is a rocking song that has a ton of energy when they play it. But Rhythm of Love? God, that song is garbage … this coming from somebody who has over 300 songs from Scorpions on their iTunes song list. It has probably been at least 15 years since I’ve played that worthless song in my home or car. I actually have a theory though as to why they played it. All of the band members basically stood in one place for the entire song, it’s such a soft, fruity song that you can get away with standing in one place. I think Scorp’s used that song as a “breather”, a break within the concert. I’ve actually seen Scorpions play In Trance live twice, He is a Woman, She is a Man, and We’ll Burn the Sky. Needless to say, it was pure ecstasy. I like Scorpions with Matthias better, but I fully appreciate Uli’s contribution to the band. Not sure if you’ve ever seen their DVD, Live at Wacken … but Scorp’s do something like a 25 song set, three songs with Uli, three songs with Michael (Schenker), and three songs with Herman. I wanted to cut off my left arm for missing that concert. Very cool! I think the thing that separates the Scorpions from bands like Metallica is attitude. The Scorpions are all about putting on a great show and making sure their fans leave happy. Positive energy like that transcends any kind of music. Becky – I appreciate all types of music except the two you mentioned, country and rap. Just can’t do those two. Other than that though, if there is talent, I like it. I’ve got countless international artists in my collection most people have never heard of, but Scorpions have been at the top of my mountain for decades. I too was hooked after seeing Scorpions live for the first time. 1983 Us Festival …. Motley Crue, Quiet Riot, Triumph, Ozzy Osbourne, Judas Priest, Van Halen and Scorpions …. and Scorpions absolutely stole the show, blew EVERYBODY else off the stage. that crowd at the Us Festival was flippin’ BUZZING after Scorpions left the stage. If you think Scorpions were great last night, do a You Tube search for , “Scorpions, Us Festival, Can’t Get Enough” …. check out the final song Scorp’s played that show, and see what they used to do when they had their youth. Scorpions became my favorite band that day, and they will continue to be my favorite band until the day I die.